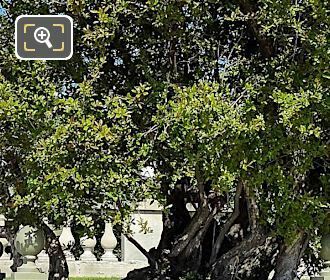 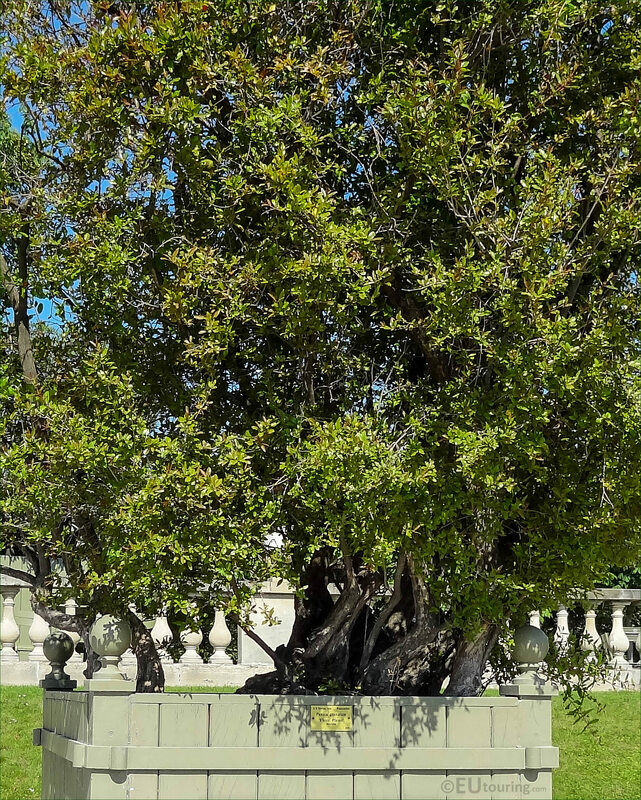 This first photograph shows a tree in a large green wooden crate, which is a Pomegranate Tree, and there are different species of pomegranate, with this particular type being known by its scientific name of Punica Granatum Flore Pleno, which has double flowers. 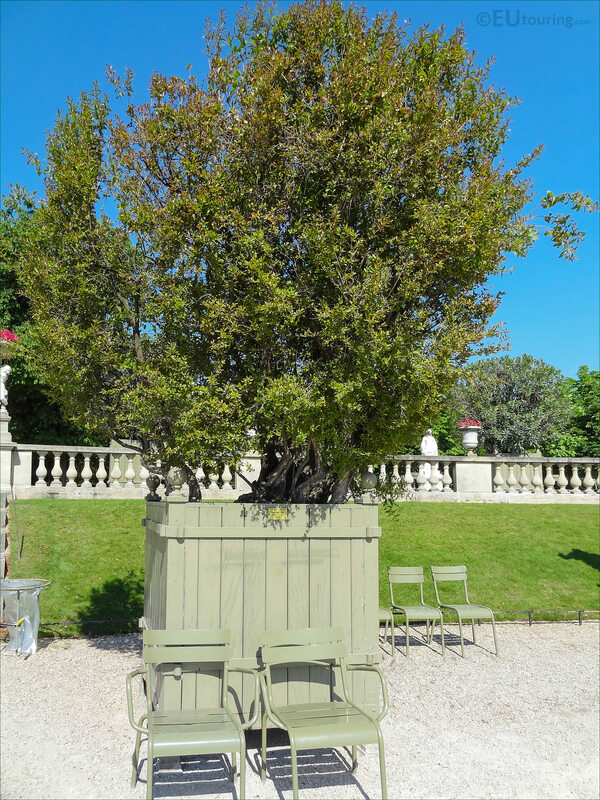 Rather than classed as a tree, sometimes it is referred to as a shrub with numerous branches and an unusual stem that makes it look like the Pomegranate is more than one plant, as you can see in this photo, and they are long living with some being dated around 200 years old in France. 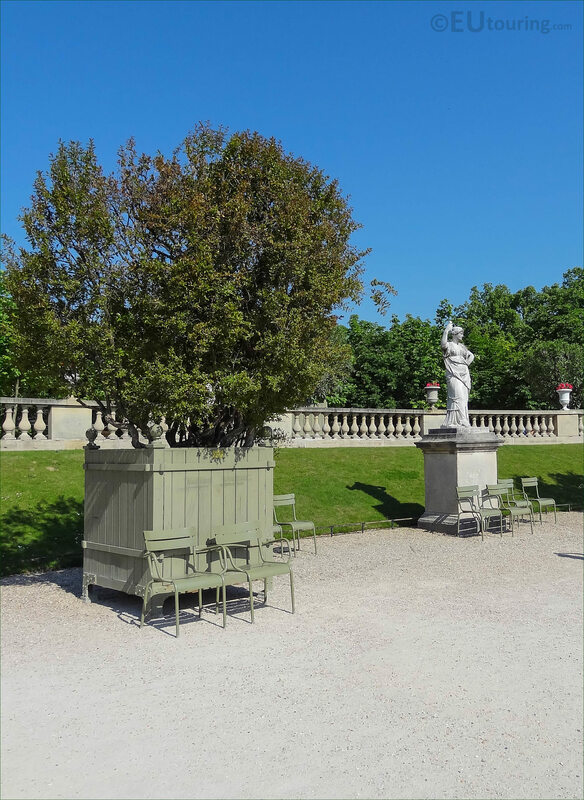 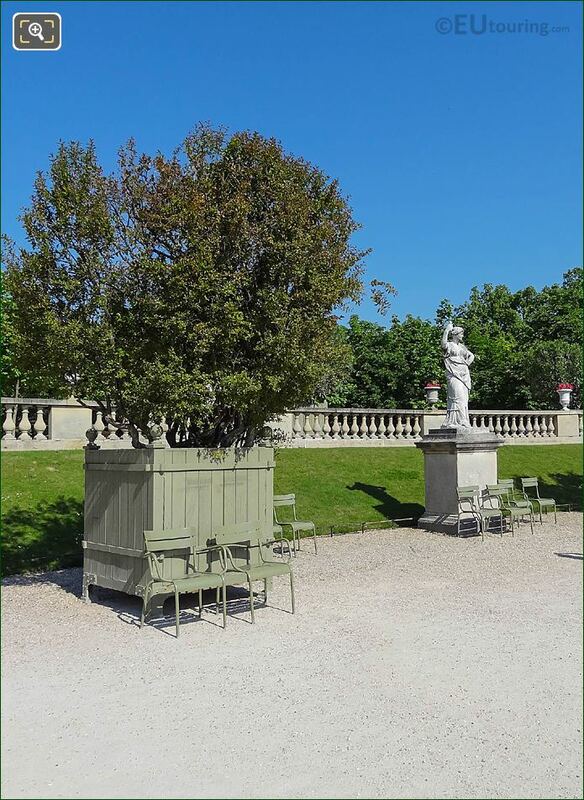 And here you can see that this particular Flowering Pomegranate Tree is located in a pot within the Jardin du Luxembourg, which is in the 6th Arrondissement of Paris, and it was positioned below the western terrace of this historical garden. 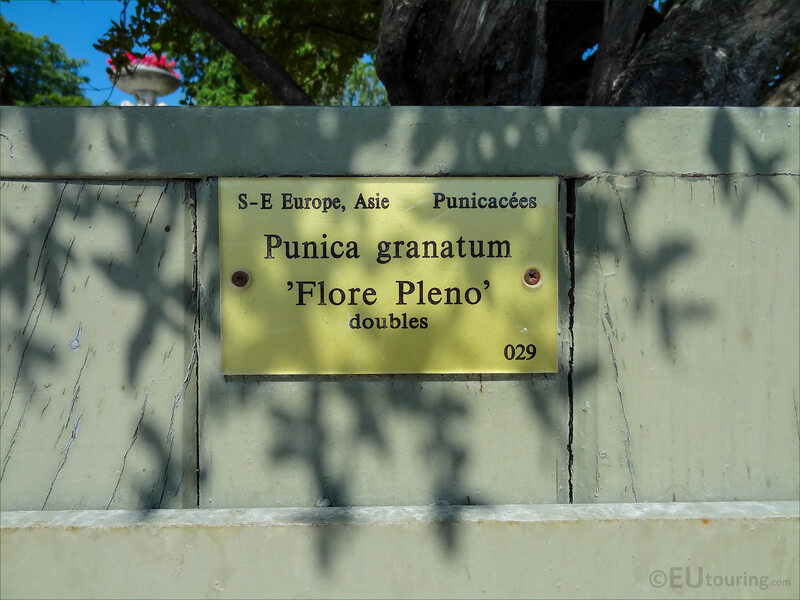 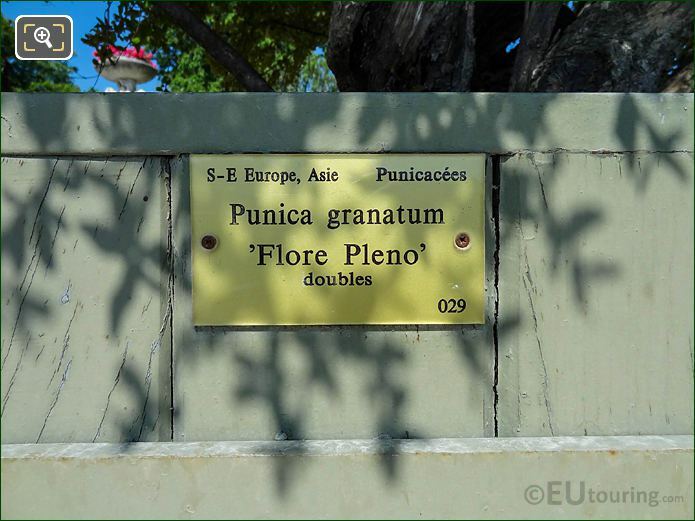 Yet this next image shows the tourist information plaque for Pot No 29 holding the Punica Granatum Flore Pleno, and you can see that in the top corner it states it is within the family called Punicaceae, although recently it has been put into the family called Lythraceae.